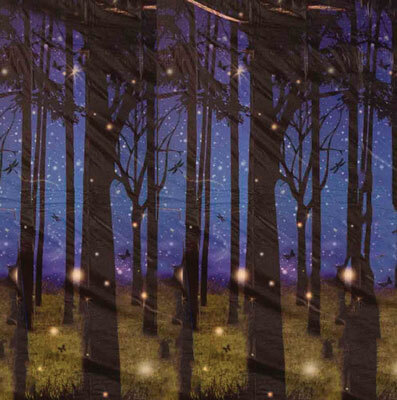 Use this Firefly Forest Backdrop to create the perfect atmosphere for singing songs around the campfire at night! Also makes a great backdrop for Hoppy the toad. 4' x 30'.